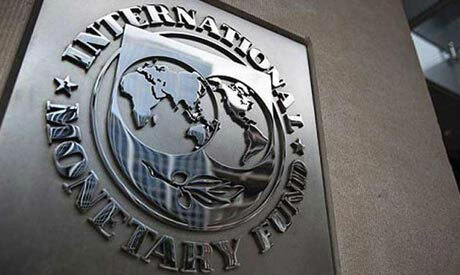 The International Monetary Fund (IMF) is projecting an increase in private investment in Egypt as a result of "improved confidence" in the country's economy. In its latest Regional Economic Outlook, the fund has maintained its previous projection of a 5.5 percent growth rate for Egypt's GDP in the 2018/19 fiscal year, up from 5.3 percent in the 2017/18 fiscal year. The report, published on the IMF's website on Tuesday, expected the average annual consumer price inflation to decline to 12.6 percent in the 2018/19 fiscal year, down from 13.9 in 2017/18. The report, which tackles the Middle East and Central Asia region, said that the region's annual export growth in 2018 is projected to more than double from last year to 15.4 percent. It said the surge, mostly driven by Egypt, reflects "base effects from receding macroeconomic imbalances during 2016/17 and an improved business environment." The report says that a "neutral or tightening monetary policy stance" that Egypt and other countries in the region have maintained "remains broadly appropriate." However, the report said that these countries "will need to remain vigilant against a rise in inflation and stand ready to anchor inflation expectations should second-round effects from higher energy and food prices materialise." The report highlighted Egypt's effort to facilitate the restructuring of failing firms, adding that the country is taking steps to improve access to industrial land for business. It also said that Egypt's plans to sell minority shares in five state firms this year aims to "reduce the role of the state in the economy." This as part of a broader plan to sell shares in at least 23 state-owned companies over the next few years across several sectors. The report said that a low productivity informal sector dominates a large section of the economy in the region, saying the formal sector makes up only a third of employment in the region. Businesses with five or fewer employees account for 60 percent of the private sector in Egypt, the report shows.